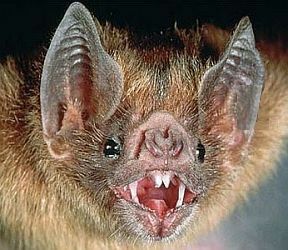 The only real vampires are vampire bats that are native to Central and South America. Vampires, such as Desmodus rotundus, are flying mammals that feed on the blood of birds and cattle. Bats are nocturnal and have big ears that help them navigate in darkness using the echoes of their high-pitched vocalizations. Sharp incisors allow vampires to puncture the skin of their victims painlessly. The saliva of vampire bats contains a glycoprotein composed of 411 amino acids called draculin (named after Count Dracula) that acts as an anticoagulant and keeps the blood of the bitten victim from clotting while the bat laps up the blood with its tongue. Bats are sometimes vectors of diseases such as rabies. Vampire bats establish colonies in caves, hollow trees and other cool, dark places. Since antiquity, there have been stories of beings that live by sucking the blood of living creatures. The term "vampire" was popularized in Eastern European legends in the 18th century. In 1819, John Polidori wrote The Vampyre, a novella that described a sophisticated and charismatic vampire. In this story, the vampire is a seducer of women whom he kills by draining them of blood. The vampire is able to recover from wounds that would kill an ordinary person. In 1845, a serialized gothic horror story called Varney the Vampire, or the Feast of Blood was published by James Malcolm Rymer. In this story, the vampire has fangs and leaves the characteristic puncture wounds on the necks of his victims. The vampire is also extremely strong and has hypnotic powers. Unlike vampires that came later, Varney the vampire was not harmed by sunlight and was not repulsed by crucifixes or garlic. Irish author Bram Stoker published the novel Dracula in 1897. The novel tells the story of Count Dracula and his attempt to relocate from Transylvania to England. Transylvania is a historical region in the central part of Romania that was conquered by the Romans and later by various tribes, including the Magyars that established Hungary. Transylvania has beautiful mountainous landscapes and many antique castles and fortresses. 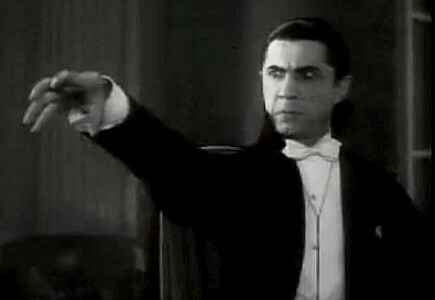 In 1931, the book by Stoker was adapted for a film where the Hungarian actor Bela Lugosi played the role of Count Dracula. Bela Lugosi had experience with this role because he had portrayed Count Dracula in a 1927 Broadway production that had 261 performances. The lore of vampires is a very prevalent theme in modern society. Many people participate in the macabre traditions of literary vampires by wearing gothic makeup and vampire costumes during Halloween. Typical gothic fashion includes dyed black hair, dark eyeliner, black fingernails and black clothing in the style of the Elizabethan, Victorian or medieval period. 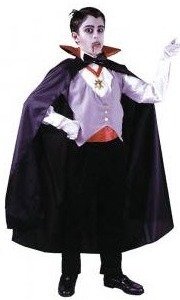 The character of Count Dracula portrayed by Bela Lugosi is also parodied by Count von Count who is a vampire Muppet on the Sesame Street television show. 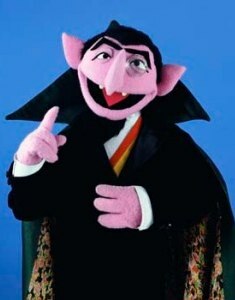 The Count is compulsive about counting and he will count everything regardless of how much he annoys those around him. When he finishes counting, the Count laughs and announces his total to the accompaniment of thunder and a flash of lightning. 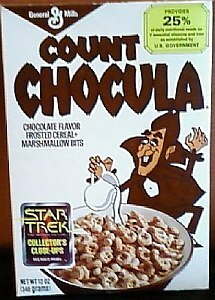 A cartoon vampire called Count Chocula is used to promote a General Mills chocolate-flavored frosted cereal with marshmallow bats. A television show called The Vampire Diaries is a long-running supernatural drama series about two vampire brothers who battle for a beautiful girl and the control of an entire town.